It looks and feels like one of the Trials games from Ubisoft, only with a much smaller budget. I didn't expect a huge amount from it, considering the price it's still very much an indie game. While the basics of it aren't bad, it looks quite good and it has some customization, the problem I have is all the levels feel too similar. There's just not enough variety in what you're actually doing. 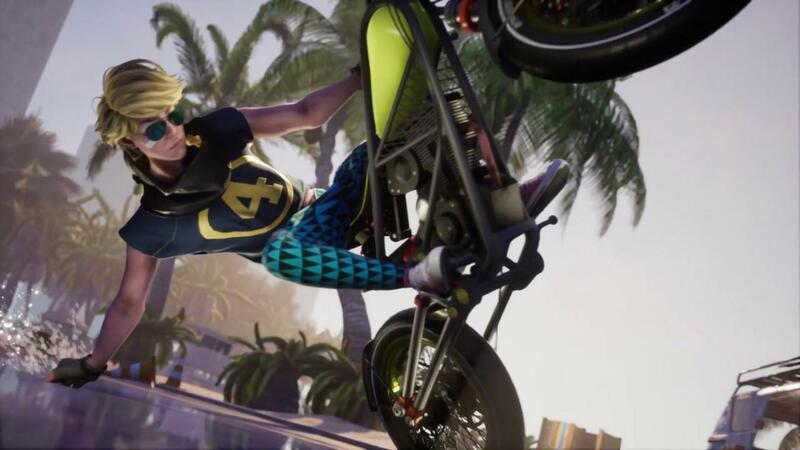 This is a game about tricks and stunts, where's the glorious ridiculousness that's supposed to come with it? It feels like Urban Trial Playground plays it far too safe with the setting. I can do a Wheelie, a Stoppie, ride up some ramps and get a little air time with a flip and not too much else. The main problem with Urban Trial Playground is the performance, which isn't great. Every single level stutters quite a lot at the start, with some even stuttering mid-level which makes it a bit of a nuisance to play. For a game like this, it absolutely needs to remain smooth at all times. If they manage to sort that out, which is not a Linux-specific issue to be clear, then it would be a lot better. From the press info they sent over, it seems they're planning 2 DLC packs. A challenges pack to add more to do, along with a style pack to add in more skins for your rider. Sounds like they will be free too. You can find Urban Trial Playground on Steam. I have the same problem with the stutters. Will wait one week, if there is no fix I'll refund it. It's a shame that developers dare to release such a broken game. Oh, it's motor bikes. I was thinking it'd be the BMX version of the old Tony Hawk games. Those were way more freestyle. Was cheering this guy on when he considered supporting Linux. Just bought a copy now. If it's a 1 man shop I can overlook some shortcomings and enjoy since I think its the only game like this in this category I own. ElectricPrism Was cheering this guy on when he considered supporting Linux. Just bought a copy now. You're likely thinking of Wheelz2.